The transplant was drawing near, and Kimberly Tracy knew she might die. She sat down to write her 2-year-old nephew a letter. "I'm writing this letter to you now in case I can't tell you later," Tracy typed on her computer as she prepared to give him one of her kidneys. "Maybe something went wrong during the transplant or I became ill afterward. ... All I know is that I wanted to tell you how much I love you." She slipped the pages inside the folder with her will and her life insurance documents. Soon after, her healthy kidney was transplanted into her nephew's tiny, sick body. Tracy, a 45-year-old nurse from Dayton, Ohio, survived, as did her nephew. But it was hardly the no-big-deal operation her doctors had promised. For months afterward, Tracy would vomit for no clear reason. She had abdominal cramps and shooting pelvic pain. Yet complications like Tracy's are seldom reported or talked about, even as the number of living donors soars. Increasingly, patients desperate for transplants are turning to families, friends, even acquaintances or co-workers for vitally needed organs. 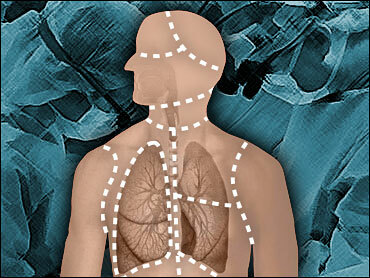 Living donors now outnumber the traditional source of organs - cadavers. Last year, there were 6,613 living donors, more than triple the number in 1990, according to the United Network for Organ Sharing, which runs the nation's transplant system. While few living donors die, there are no reliable statistics about donors' surgical complications. Existing data suggest that as many as one in three liver donors, for example, face complications such as additional surgery, hospitalization and extended recoveries. Transplant programs do not always provide donors with detailed information about the risks. In addition, there is no central place donors can go for unbiased information - not just about obvious side effects, but about time lost from work, pain, discomfort and expenses. Moreover, the organ donation system has its own built-in contradictions. A physician's guiding principle instructs do no harm, yet living donation removes an organ from a healthy person who will derive no medical benefit from the procedure. Most donors have no regrets, and many have only minimal pain. "I used the morphine pump for the first day. Then I didn't need it anymore," said Ellen Souviney, 48, of Brunswick, Maine, who gave a kidney to her personal trainer. "I didn't even need aspirin after that." Kimberly Tracy has begun an informal support network for living donors and is creating a Web site to help educate potential donors. She, too, has no regrets, but says: "My main concern is living organ donations will soon get a bad name if things aren't changed in the medical system." Many in the field, including a federal advisory panel, are calling for fundamental change. Two ideas have emerged. One is a national registry to keep track of donors and their conditions after a transplant. The second would place independent donor advocates at every transplant hospital who can dispassionately explain the risks. The rise in living donation makes change all the more crucial, said Gregory Pence, a bioethicist at the University of Alabama. He and others worry that living donation has become so common that family and friends feel intense pressure to donate if they are a medical match. "You really have to ask, do people know what they're getting in for," he said. "No one really knows." Moreover, each hospital has its own criteria for approving donors, with no standard guidelines. Clinic in Rochester, Minn., which concluded the housekeeper was acting out of compassion and performed the surgery. Donor deaths are rare, though sometimes well publicized, such as the reporter who died in New York in 2002 after giving a part of his liver to his brother. His death prompted a New York advisory committee to recommend what would be the strictest guidelines in the country for living donation, including a state registry of donors and restrictions on who can donate. Nationally, the transplant network has identified 28 donor deaths to date, including five that were definitively linked to the donation. And as of 2002, 56 kidney donors later needed a kidney transplant themselves. As for less-than-fatal complications, the data is thin. The National Institutes of Health is to begin a study of liver donors this year. A limited registry of kidney donors has enrolled about 250 people, but the results have not been published or shared with any donors or doctors. Researchers at a transplant conference last month estimated that nearly one in three liver donors has a medical complication. About half are serious problems, perhaps requiring a second surgery; others are relatively minor, such as wound infections. One study found 30 percent of donors had to be readmitted to the hospital. Researchers found that the typical living donor is hospitalized for about 10 days, takes 2 1/2 months off work and needs an additional month for complete recovery. Though many donors say the experience was the best of their lives, some complain they were not adequately prepared. Walter Wood's abdominal muscles ruptured after he gave his brother a kidney. He lost his job because he could no longer lift heavy boxes. He had to sell his house and came close to bankruptcy. "I'm in constant pain from the surgeries I've had. I can't even move around in bed," said Wood, 45, who now lives in Myrtle Beach, S.C.
Arielle Dove decided to donate a kidney to someone in need after the Sept. 11 terrorist attacks, and found a match through a living donor message board on the Internet. Today she is sick. She regularly vomits and is lethargic and dizzy. She also is angry. The man who got her kidney reneged on a promise to cover her expenses that were not paid for by his insurance. "I volunteered to put my life on the line and I guess I've given up my good health for this and nobody seems to care," she said. "It's really hard not to cry." Michelle Glasgow in Billings, Mont. - herself a doctor - had horrible pain in her side after donating a kidney to her brother. She lost 45 pounds over five months. "It was just too painful to eat," she explained. The reactions from transplant surgeons vary widely. Dr. Thomas Bak, a Denver surgeon who cared for Glasgow, said he had no idea she felt so negative about her experience. "You feel directly responsible for the follow-up care," Bak said. "At the same time, if that person breaks their ankle or gets a cold, I'm not their physician for the rest of their life." Transplant programs have some inherent conflicts of interest in dealing with potential living donors. Certainly, doctors are trying to save the life of a sick patient. Less charitably, the transplant program and its doctors make money and gain prestige with every transplant performed. "What they're thinking about is, `I need to get these organs.' They don't have the donor's interest central," said Arthur Caplan, a bioethicist at the University of Pennsylvania. Some in the transplant field agree. "The transplant center has goals of doing more transplants," said Dr. Francis L. Delmonico, chief of transplant services at Massachusetts General Hospital. Some centers try to minimize the conflict by assigning separate surgeons to the donor and to the recipient. There can also be conflicts between recipient and donor. For instance, should a potential donor be told that the recipient has hepatitis C, which can return and infect the new organ? Hoping to address some of these issues, a federal organ transplantation advisory council recommended hiring donor advocates to work independently with potential donors. But many surgeons do not want an outsider involved. "I don't think they would put more emphasis on the risks than I do," says Bak, the Denver kidney surgeon. "I give them absolute truths about everything that can happen, from major to minor." But Dr. Elizabeth A. Pomfret, who directs the live donor liver program at the Lahey Clinic in Burlington, Mass., says her program employs a doctor and a psychologist who are independent; either can veto transplants. She said the arrangement is partly to eliminate surgeons' conflicts of interest, and partly to make it easier for the potential donor to disclose apprehension or pressure from family when they are not sure they want to donate. "There has to be somewhere for that to be vented without them feeling like they're not being a good brother or sister or daughter to the surgeon who's been taking care of their loved one," she said. For all the worries, most say they would do it again, knowing they have saved a life. "There are times I feel sorry for myself," said Walter Wood. Then he thinks of his brother. "His three kids have their dad still. I try to keep that in front of me, too."